Bill Vale, a Founder and Managing Director of Monument Ventures has over 25 years of executive and entrepreneurial experience having held systems, consulting and executive positions with IBM, Great Plains Management Systems, and Castle Management. Bill is both a successful entrepreneur, working with numerous startups and developing his own successful companies, and a faculty member of Friends University as an instructor in Management. In three years at Great Plains Management Systems Bill took the company from startup to buyout, tripling investor value in the process. 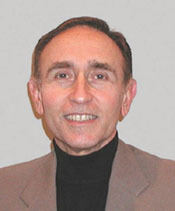 As COO of Castle Management he led consulting specialties in Project Management, Management Development, and Marketing. Bill started his career at IBM where his tenure included numerous executive positions in systems and marketing in which he advised some of IBM's largest customers. He also led business units in IBM Consulting, focusing on customer service and profitability where his leadership resulted in the development of a nationwide technical education business.